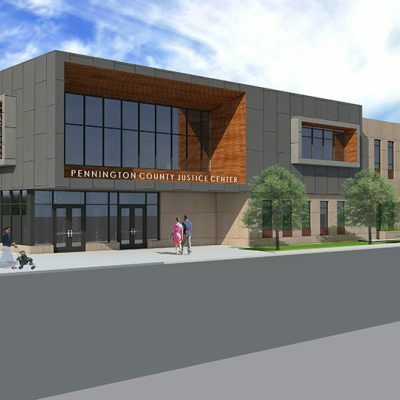 Pennington County’s new facility was planned as an addition to the existing sheriff’s offices. A new jail will be constructed south of the existing building. 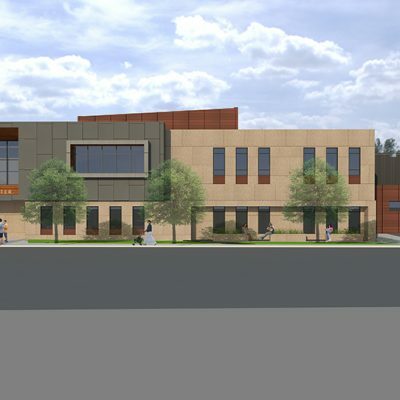 Adjacent to the jail and work release areas will be the county courthouse, with two district courtrooms, three judge’s chambers, probation and records areas, a law library, a county attorney suite, and court administration space. An underground squad garage and a new county boardroom will round out the addition to fully serve the needs of the county. The sheriff’s station is remodeled to update it to modern standards and provide intake space for the jail. 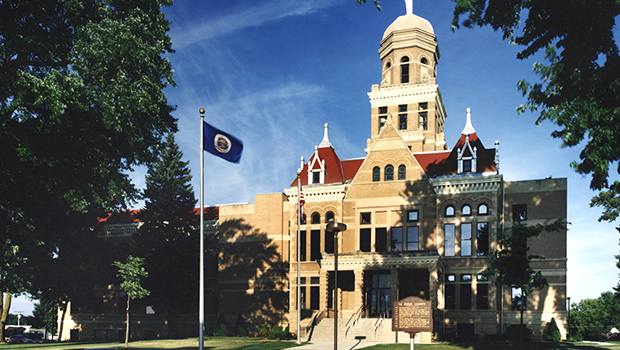 The old courthouse is repurposed to serve other County functions. 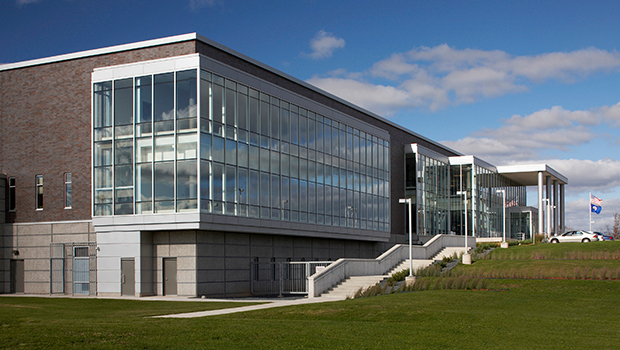 The exterior design expression for the building echoes the modern “floating box” style of the existing courthouse, communicating the transparency of the judicial process and the contemporary outlook of this primarily rural county. Views from public spaces are framed with projecting boxes clad on the interior sides with wood-look metal planks. Cast stone elements at the base of the building and around the judge’s chambers convey the security, longevity, and solemnity traditional in courthouse design.